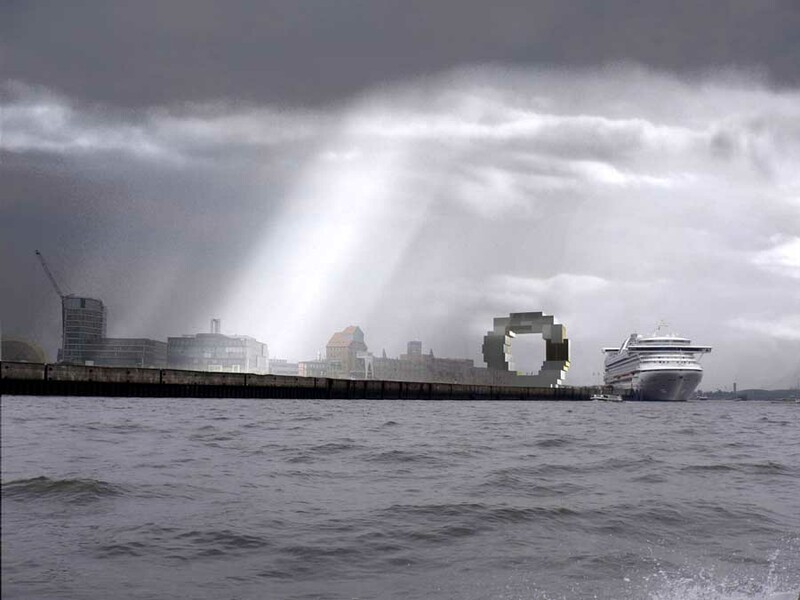 (Rotterdam, January 22nd 2008): The Office for Metropolitan Architecture has revealed the final design for a Science Centre and Aquarium for the Hamburg Hafencity complex. The building of 23,000 m2 will comprise of a Science Centre, aquarium, theatre, offices, laboratories and commercial and retail facilities and is located at the eastern edge of Hafencity, Hamburg’s ambitious harbor redevelopment. The Science Centre is constructed of ten modular blocks that connect to form a ring shaped building. This concept allows for maximum flexibility for exhibitions. Visitors will start their visit at the so called “base station” just under the top of the building, cross over through the exhibition halls and descend in the modular blocks through the various exhibited scientific subjects, such as “the beginning of life” or “everything flows”. Approx. 8,500 m2 of the building is located underground with a large part of this space being taken up by the aquarium, providing a zoological tour from Hamburg to the Red Sea. With terraces on various levels of the building the Science Centre allows panoramic views of Hamburg city centre as well as to the West and East sides of the Magdeburg harbor. As a Science Centre the building leads by example addressing the issue of sustainability not only in its flexible approach to programming and function but also by incorporating the latest environmental technologies. Speaking at the project launch yesterday Rem Koolhaas said ”this building is supposed to reflect Hamburg’s serious ambitions for the development of the former port area”. OMA’s Science Centre is the latest in a series of buildings commissioned by Hamburg Hafencity GmbH as part of a large scale regeneration programme of the area, which stretches some 155 hectares between city centre and the river Elbe. 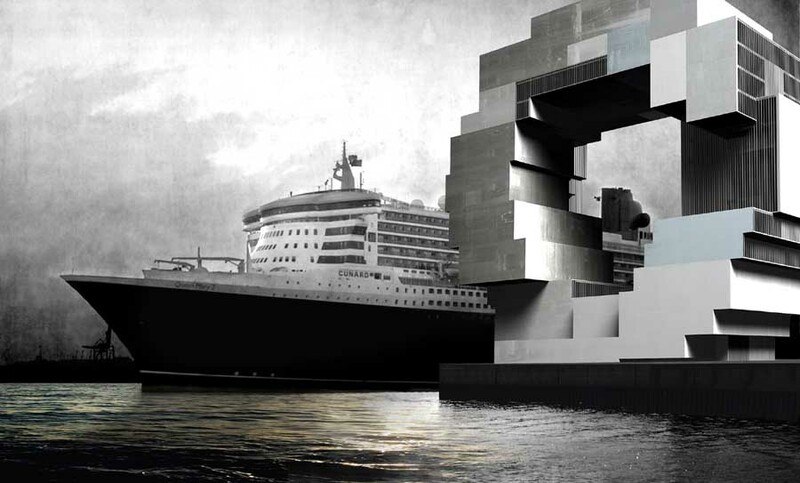 The design is a further development of the winning scheme designed by OMA in 2004. The project is lead by OMA Partners Rem Koolhaas and Ellen van Loon with Marc Paulin as project architect. Previous collaborations included the design of the new headquarter for NM Rothschild & Sons in London and the redevelopment of Mercati Generali in Rome. Koolhaas and Van Loon completed together Porto’s Casa da Musica and the new Netherlands Embassy in Berlin.